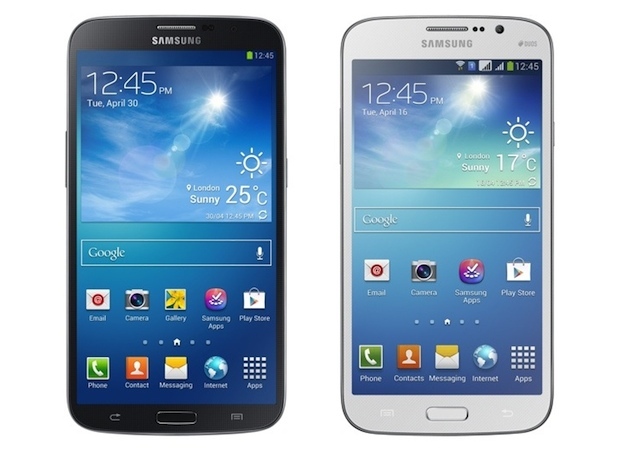 Samsung has officially announced the Galaxy Mega series smartphones : Galaxy Mega 6.3 and Galaxy Mega 5.8. Samsung Galaxy Mega 6.3 has a 6.3-inch HD display, and features an 8-megapixel rear camera, and a 2-megapixel front facing camera. It is powered by a dual-core processor clocked at 1.7GHz. Samsung Galaxy Mega 5.8 has a 5.8-inch screen with qHD(540x960 pixels) resolution. It is powered by a 1.4GHz dual-core processor, and features the same camera as that of Galaxy Mega 6.3. The phone will only have an 8GB internal storage variant. It comes with a 2,600mAh battery. Both phones got 1.5 GB of RAM on-board and 4.2 version of Android Jelly Bean. Samsung Galaxy Mega 6.3 is more faster as compared to Samsung Galaxy Mega 5.8. The GALAXY Mega will be available from May starting with Europe and Russia, no price declared yet , There's on word yet on when the phones will be launched in India or their pricing.